In saliva, insulin shares a near linear correlation to fasting blood levels and is a reliable surrogate for serum measures, with a 0.92 correlation (Fabre 2012). During an oral glucose tolerance test, research shows a ~30 minute delay between salivary insulin and the spike in serum insulin levels (Fekete 1993). Overall, salivary insulin presents a unique opportunity to monitor insulin levels prior to disease progression. Elevated fasting insulin is a hallmark of insulin resistance, which can supersede TIID disease onset by several years and may be used to justify changes in lifestyle to reduce the risk of disease (Tomoshige Hayashi 2013). Fasting Insulin: Do not consume food or beverage within eight hours prior to saliva collection. Glucose Challenge: Salivary insulin levels lag approximately 1 hour behind blood levels. 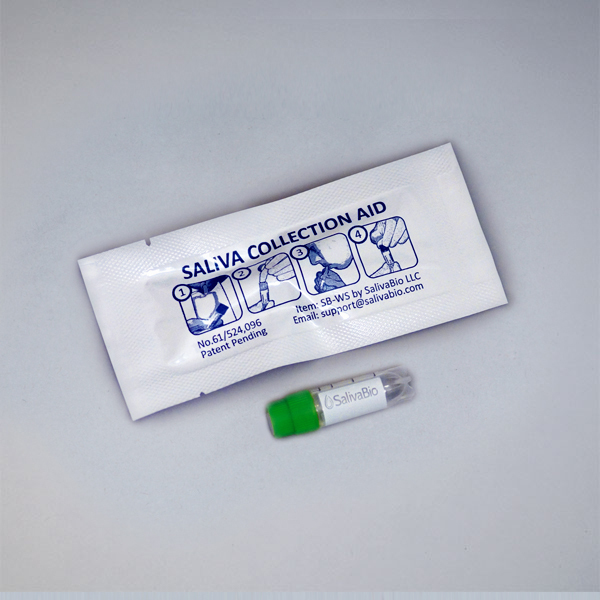 Better results begin with better saliva collection. This collection protocol features general considerations to maximize salivary Insulin analysis. Use this analyte specific collection protocol to plan your collection methodology and sampling schemes. Goodson, JM, et al. (2014). Metabolic Disease Risk in Children by Salivary Biomarker Analysis. PLoS One. 9(6): e98799. Fekete Z, et al. (1993). Salivary and plasma insulin levels in man. Biochem Mol Biol Int. 30(4): 623–629. Fabre B, et al. (2012). Measurement of fasting salivary insulin and its relationship with serum insulin in children. Endocr Connect. 1(2): 58–61. Hartman ML, et al. (2016). Unhealthy Phenotype as Indicated by Salivary Biomarkers: Glucose, Insulin, VEGF-A, and IL-12p70 in Obese Kuwaiti Adolescents. J Obes. 2016: 6860240. Ebbeling CB, et al. (2002). Childhood obesity: public-health crisis, common sense cure. Lancet. 360(9331):473-82. Zhao X, et al. (2016). Using Metabolomic Profiles as Biomarkers for Insulin Resistance in Childhood Obesity: A Systematic Review. J Diabetes Res. 2016:8160545. D’Adamo E, et al. (2011). Type 2 diabetes in youth: epidemiology and pathophysiology. Diabetes Care. 34 Suppl 2:S161-5. Hayashi T, et al. (2013). Patterns of Insulin Concentration During the OGTT Predict the Risk of Type 2 Diabetes in Japanese Americans. Diabetes. 36(5): 1229-1235.